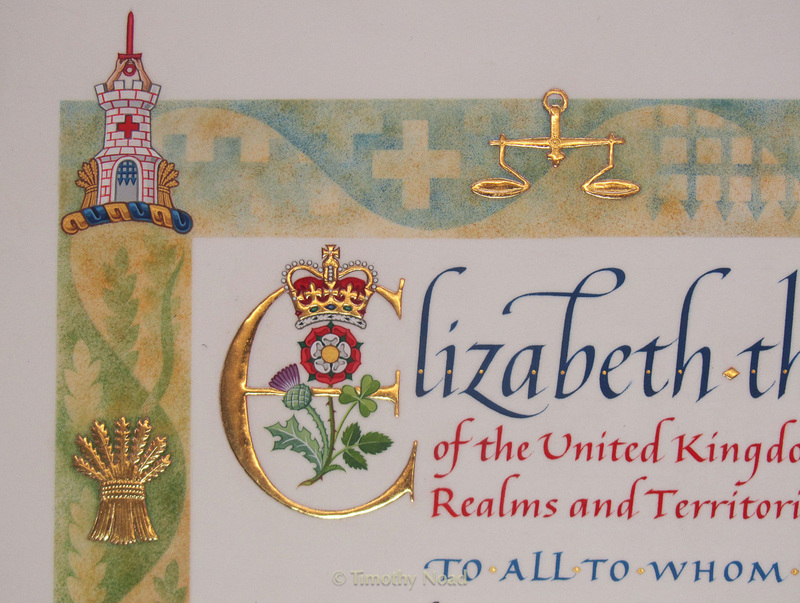 As a Scribe and Illuminator to HM Crown Office at the House of Lords, Tim carries out illuminated Royal Charters and other Letters Patent. 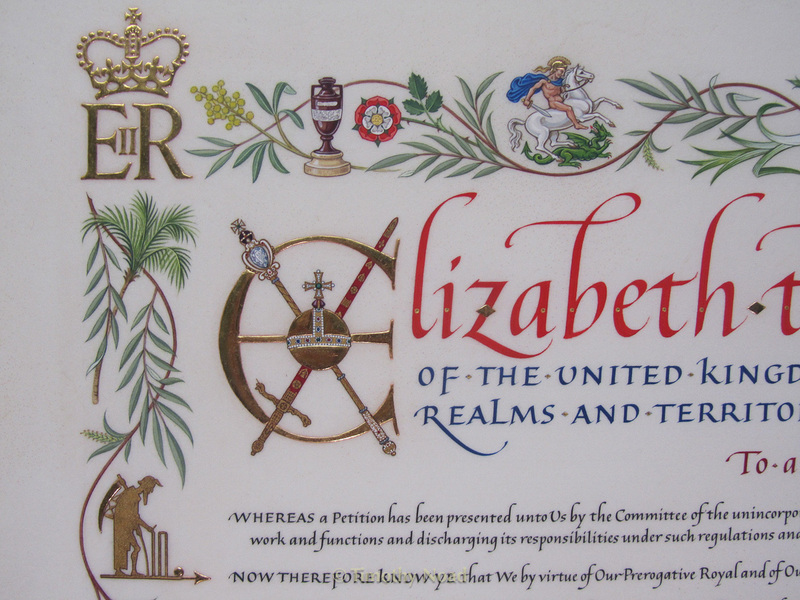 These are are official documents issued by or on behalf of HM The Queen, granting privileges to individuals and institutions. They include appointments to the House of Lords and Supreme Court and the Instrument of Consent for the marriage of HRH Prince William and Catherine Middleton. Please note that these images are Crown Copyright and that legal action will be taken against any infringement. The Royal Arms in a detail from the Royal Charter of the Marylebone Cricket Club. 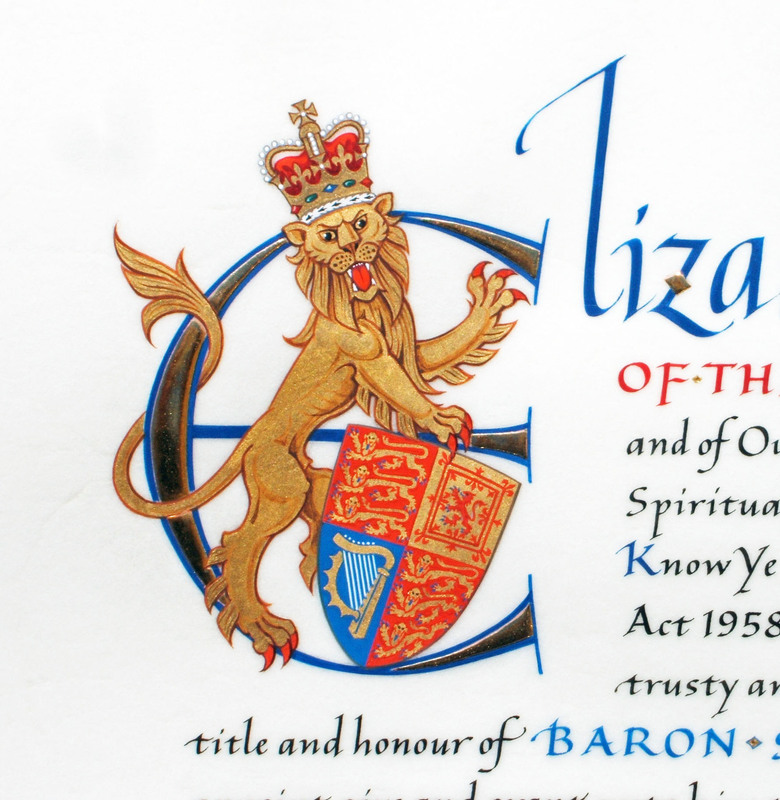 The initial E from a Letters Patent is traditionally gilded and decorated with part of the Royal Arms, in this case the English lion supporter. 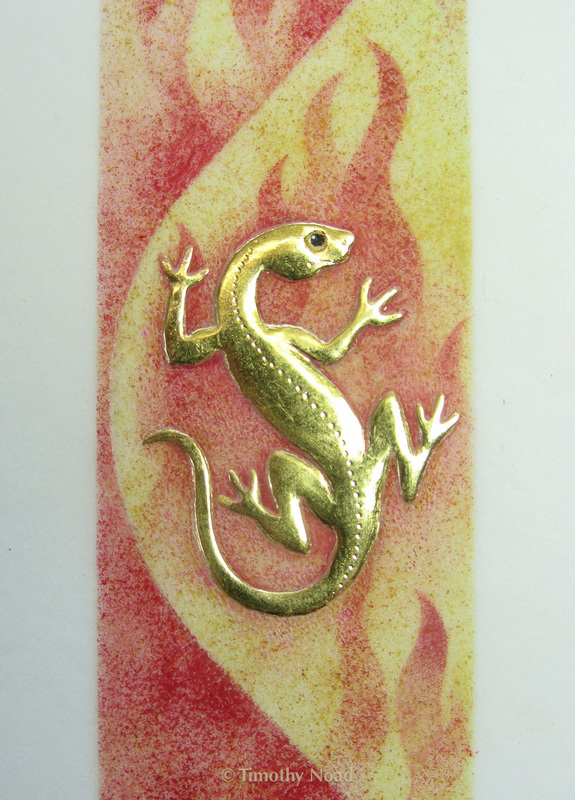 Detail showing a gilded salamander unharmed in the flames, from the border of the Royal Charter of the Worshipful Company of Insurers. 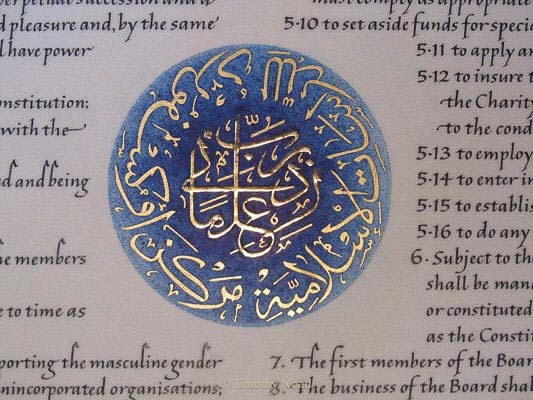 The emblem of the Oxford Centre for Islamic Studies, written and gilded in Arabic script, in the centre of their Royal Charter. 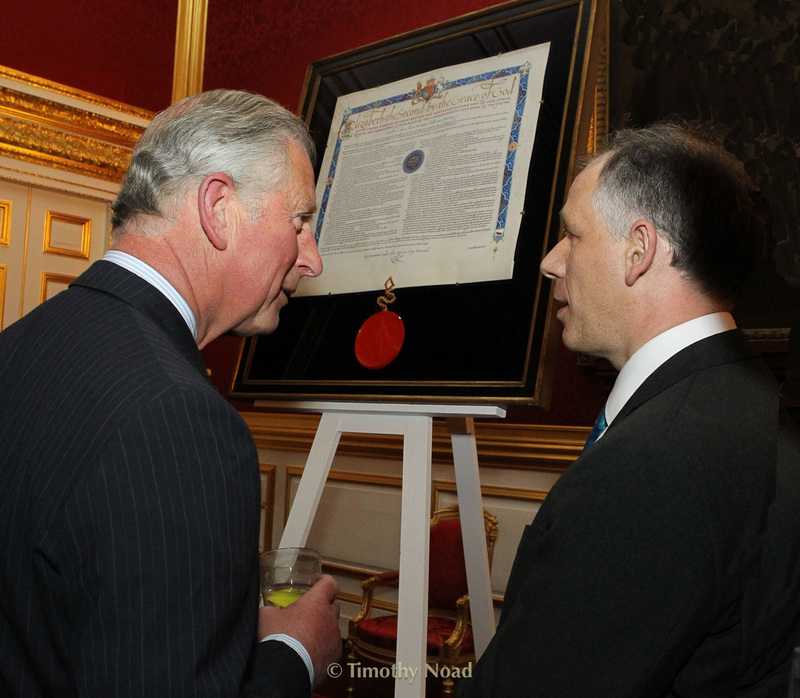 Tim meets HRH The Prince of Wales, Patron of the Oxford Centre for Islamic Studies, at the presentation of their Royal Charter. A detail from the Royal Charter of the Marylebone Cricket Club, showing the gilded initial 'E' with coronation regalia, the Ashes urn and the Father Time weathervane from Lord's. 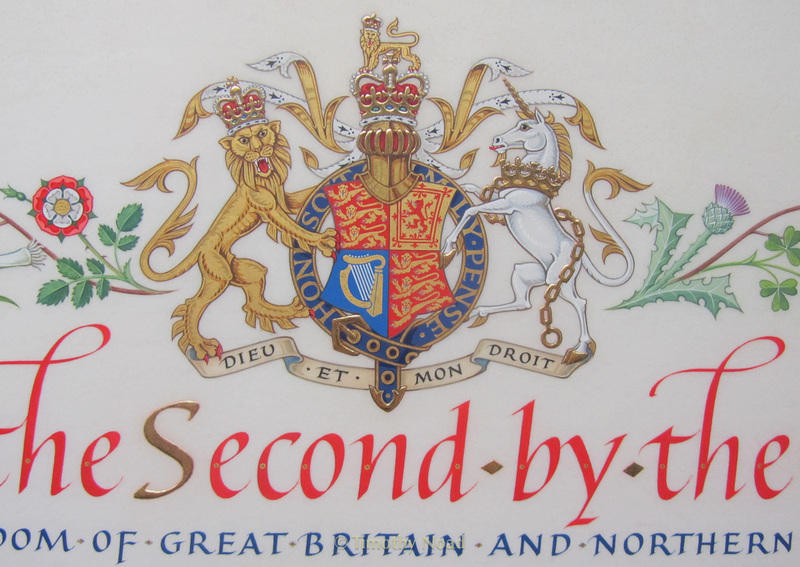 A detail from the Royal Charter of the Worshipful Company of Insurers, showing heraldic motifs in the border and the initial 'E,' decorated with the UK floral emblems.